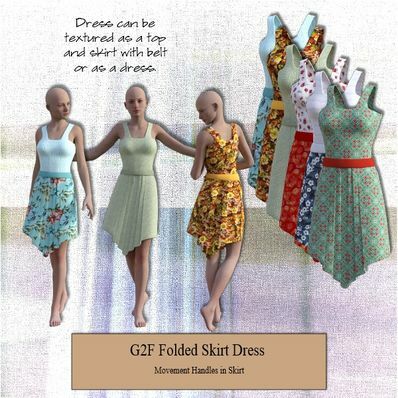 Folded Skirt Dress for Genesis 2 Female for use in Daz Studio 4.6. Great work, Thank you very much! Wonderful work! Love it. Thank you so much! A dress with a difference! Thank you very much! Exceptional, as always. Thank you. Thanks Wendy for creating & sharing this versatile dress/top.